Based on long time experience of Quarts Crystal assembly, KDK just introduced new reclaim process for 12-Inch Silicon Wafer. This New Process used plasma equipments, which KDK originally developed for High Frequency quartz process and it had been re-innovated for Silicon Wafer Process. Silicon Wafer Reclaim process normally performed by chemical and mechanical lapping to remove surface layer, but KDK new process used plasma equipment to remove several layers by no damage and no chemical on the process. Reclaim rotations rapidly increase compare standard reclaim process. This New Process offer New Environmental Approach for Silicon Wafer Reclaim Market. Before Reclaim:12-Inch Silicon Wafer which has multiple layers on surface. Controlled Plasma removed layer on the surface. 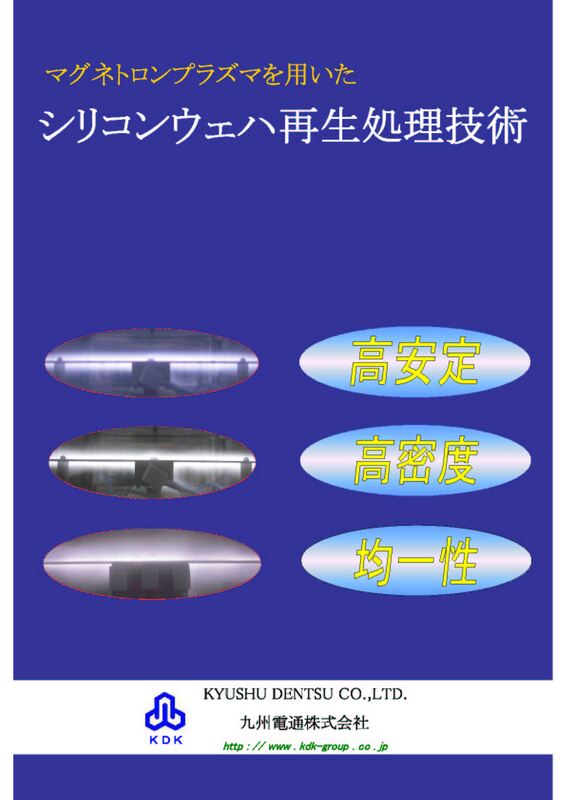 KDK plasma equipment can create several type of plasma to removed a various type of layers. * There are no use of HF chemical process, KDK offer environmentally approach for Wafer Reclaim. * Advanced plasma technology, KDK offer less than 1μ-mm surface reclaim and it will increase reclaim rotations. * Increase Reclaim rotations help reducing of running cost of customer. * 1μ-mm surface reclaim helps reducing material resource.